This message was sent as a comment on the old version of the blogger blog that we no longer update. 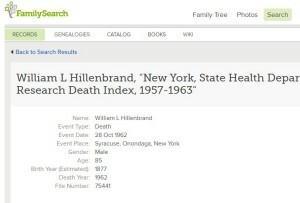 It is important enough to genealogists that I thought we should make a blog post out of it here on the Upstae New York Genealogy Blog at www.unyg.com/blog. Thanks for letting us know Jim L.
If anyone has any more information on this subject we will publish it here on this blog. Use this link for more details and to follow the bills progress.